Timing, timing, timing. Malcolm Turnbull appreciates the best moment to retaliate against the party that chucked him out last August. A few months on, the Liberals could not be more vulnerable, stuck fast in their own nightmare of increasingly bitter and public recriminations. Despite Scott Morrison’s attempts to bluff by boasting of Australia’s strong economy, his return to the Coalition chamber of horrors in Parliament House this week merely re-enforces the image. Little wonder the Prime Minister wants to spend as little time as possible there between now and the election. 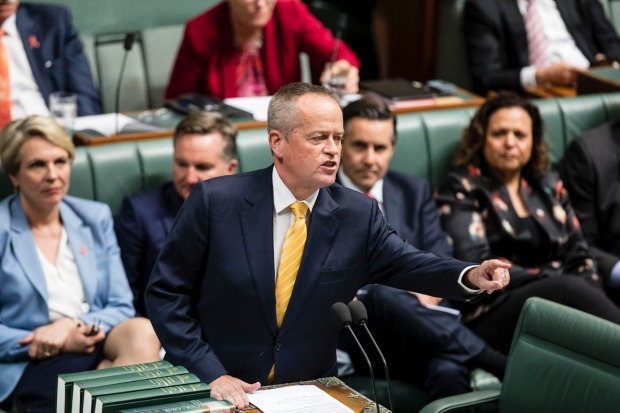 It’s painfully clear Bill Shorten’s jibes are almost immaterial given the extent of the self-inflicted damage wrought by a divided Liberal party full of angry egos and personal animosities. Turnbull’s original description of the coup against him as a “form of madness” infecting the party is now extended into daily Coalition fare of constant, vicious attacks on one another. From New York, Turnbull may have derided the “miserable ghosts” who haunt Australian politics after their prime ministerial careers have been killed off. From Point Piper, he’s come back as a self-styled avenging angel. Repent, repent, the end is nigh. Presumably, Morrison will be rethinking his early prime ministerial address on Liberal “values”, exhorting his colleagues to “love all Australians”. It turns out that Turnbull, now just an ordinary party member you understand, is most concerned about the survival of the NSW government at the election in March. Far more so, evidently, than he is about the survival of the Morrison government. 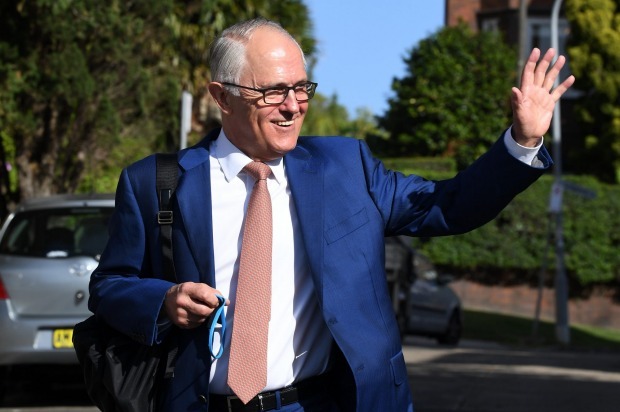 Not only does any prospect of a Morrison win now look like a lost cause, Turnbull was happy to inform senior NSW Liberal Party officials that his successor was delaying a federal election because he wanted to “keep his arse” in the prime ministerial car as long as possible. Surprise, surprise. The details of that sort of brutal conversation didn’t take long to leak to the media. Turnbull decided to pre-empt the news stories with his own Trump-style twitter storm. Since returning from New York, Malcolm Turnbull has come back as a self-styled avenging angel. “My view is that it would be manifestly in the best interests and prospects of the Morrison government to go to the polls as soon as it can after the summer break,” he then declared on ABC radio on Monday morning. The brand damage from Turnbull’s removal is certainly being felt in the states, most obviously in Victoria where the Liberals were massacred in the state election on November 24. But with federal female MPs Julia Banks and Julie Bishop in open (red) revolt, Labor couldn’t write a better script to back their claims of total Coalition chaos in Canberra. Scott Morrison had quietly organised a cross-factional deal to avoid a pre-selection vote Craig Kelly was likely to lose, leading to the risk of him campaigning as an independent. Previous senior ministers Peter Dutton and Mathias Cormann have been permanently tainted by their disloyalty to Turnbull – not to mention their inability to count as well as Morrison. The government is imprisoned in unhappiness. That leaves Morrison looking more and more like a man on a political suicide mission – albeit determined to keep on keeping on until an election in May. Turnbull wants him to go on March 2, three weeks ahead of the scheduled NSW poll, just as he had planned. Apparently, it’s now even more important to try to salvage NSW from being swept away in the coming tidal wave of voter discontent against the Liberals. Actually, an inept Berejiklian government is doing a pretty good job itself of encouraging voters to turn against the Liberals despite the strengths of the NSW economy. That includes the absurdity of a NSW division also at war with itself, most recently on display in the unseemly brawls between the moderates, the centre right and the right over preselections. In normal circumstances, most of this nasty internal politicking would be conveniently covered from public view. These are anything but normal circumstances. 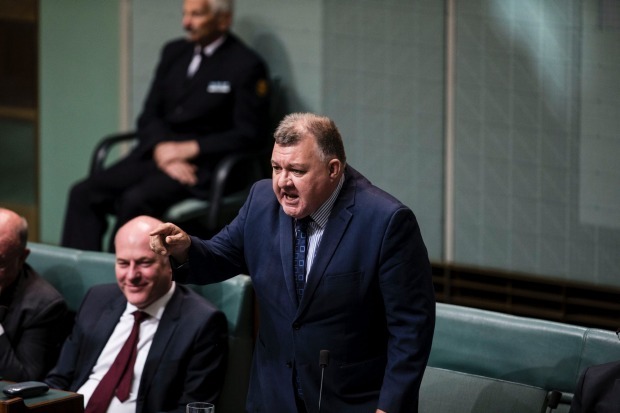 Most voters still wouldn’t know who Craig Kelly is, for example – even if the voluble federal Liberal backbencher was key to the abandonment of the National Energy Guarantee and the cascading political disaster of Turnbull’s demise. But Morrison had quietly organised a cross-factional deal to avoid a pre-selection vote Kelly was likely to lose, leading to the risk of him campaigning as an independent and further imperilling the life-span of a distinctly minority government. According to Turnbull’s sense of political principle, any such threat would be the weakest and worst reason to capitulate to “the most destructive member of the government” and a climate change denier to boot. So we now all know the former prime minister thinks it’s an outrage his successor wanted to protect the conservative MP from losing pre-selection, even including accusing Morrison of avoiding a March election due to his preference for big white cars. That’s describing just the sort of self-interested behaviour and personal privilege most abhorred by voters in any government. For now, Morrison is holding his tongue on Turnbull’s diatribe. Other members of the government won’t be so restrained about his contribution. Expect more rounds of distinctly unfriendly fire. But despite Turnbull’s incendiary intervention, the NSW Liberals have not lost all sense of political self-preservation. So Morrison managed a truce after moderates agreed to abstain from voting against a NSW Liberal state executive motion on Monday, effectively backing the push to have Kelly’s candidacy endorsed. Unfortunately for the Prime Minister, such success looks more like a badly bleeding man finding a life buoy in rough water, full of circling sharks. With no rescue ship on the horizon, any relief is purely temporary.